Christian persecution mostly flies under the media radar, despite being global and regular. 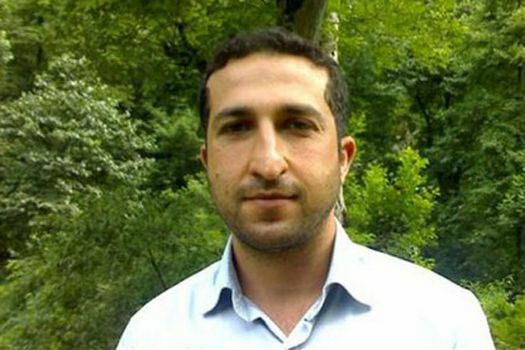 But international pressure on the Iranian Government in the case of Pastor Youcef Nadarkhani has changed that—at least for the moment. If you have not heard of him, you should google the name. He is an Iranian Christian accused of apostasy and scheduled for execution. The Iranian government does not want the disapprobation of the international community, but they also seem intent on executing Pastor Youcef. For those of us who have elected officials, we have the ability to write them and ask for pressure to be put on the Iranian government for the release of Pastor Youcef, and others like him. Go to here if you want to see what he did to garner the wrath of the Iranian authorities. “United States Rep. Joseph Pitts (R-Pa.), with the support of seven members of Congress, introduced a resolution into the U.S. House of Representatives Friday that condemns Iran for continuing to imprison pastor Youcef Nadarkhani and calls for his immediate release. Seeing the US Congress take action in protesting the Iranian government’s actions is quite encouraging. If you take the verse listed at the top seriously, there are good resources available to get involved in multiple ways. First, you should read a report on Youcef’s story. Thirdly, you could also join the Tweet to save Youcef campaign—if you twitter. www.persecution.com is the premier website for such. www.prisoneralert.com also has lots of info on many other Christians persecuted for their faith. Consider adding some of the brothers and sisters listed on either site to your prayer list. The book of Hebrews says we need to remember those in prison. That means taking action. How are you going to do that this week? ← Why Should a Christian Read the Bible?